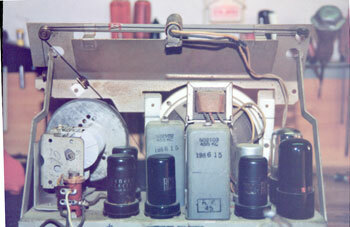 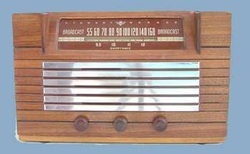 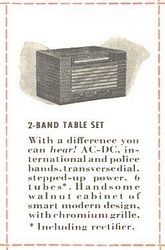 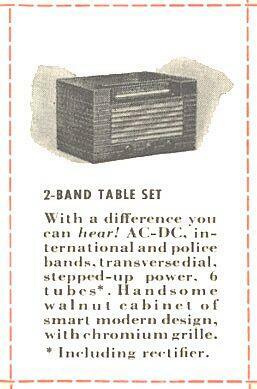 _ This is a 6 tube superheterodyne wood table radio that tunes the broadcast band and short wave bands. It is built without a power transformer but due to advances in tube technology , no resistance line cord or ballast tubes are required. This is a special radio in my collection as it was a gift from my son and inspired me to begin collecting and restoring these beautiful old radios. 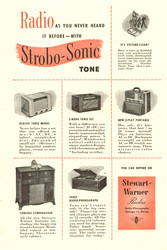 Stewart Warner is now a brand of Maxima Technologies, the company can be visited at www.stewartwarner.com.